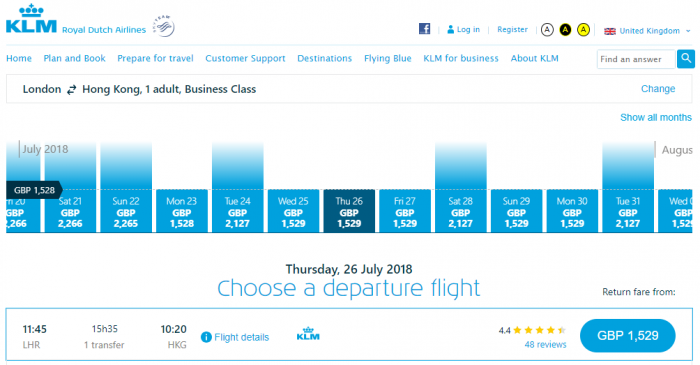 Today’s Airfare of the Day goes to Air France/KLM and their business class excursion round trip fares between London and Hong Kong. Remember that you can always email me or send me a message via Facebook or Twitter with your ‘good fare’ findings or questions about an airfare. 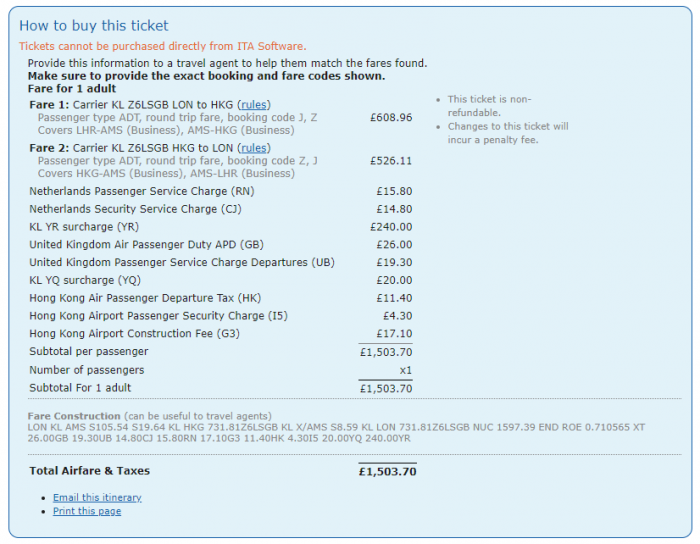 Price: from £1,504 (from £1,135 Base Fare + Taxes & Surcharges). Flight restrictions: the fare component must be on any AF/KL flight operated by AF/KL. Advanced reservation/Ticketing restrictions: reservations for all sectors and ticketing are required at least 60 days before departure. Minimum stay requirements: travel from last stopover must commence no earlier than 6 days after departure from fare origin or – travel from turnaround must commence no earlier than the first sun after arrival at turnaround. Maximum stay requirements: travel from last international stopover must commence no later than 12 months after departure of the first international sector. 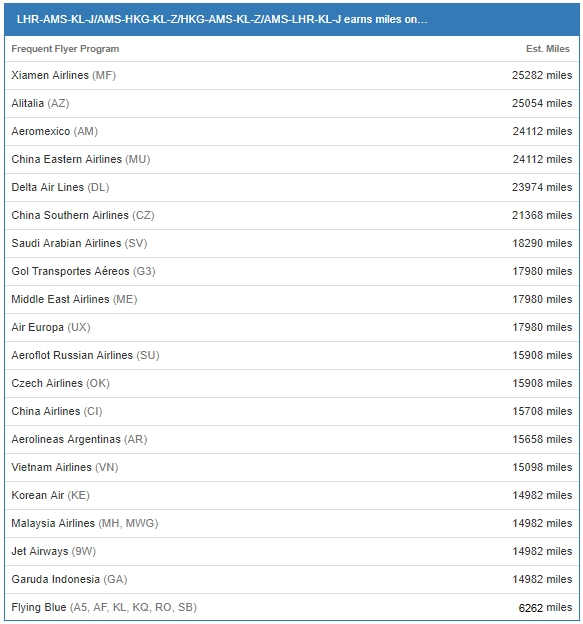 Stopovers: 1 stopover permitted in each direction in PAR/AMS at GBP 75.00 each. Transfers: 1 transfer permitted in each direction free. Travel restrictions: valid for travel commencing on/after 26MAY 18 and on/before 02JUN 19. Sales restrictions: tickets must be issued on AF/KL. Changes: charge GBP 240.00 for reissue/revalidation. The following accruals were estimated using wheretocredit calculator for LHR-AMS-HKG round trip travel on KL marketed and operated flights without considering any elite status bonuses or ongoing promotions. Delta & Easyjet Preparing For A Combined Alitalia Bid?